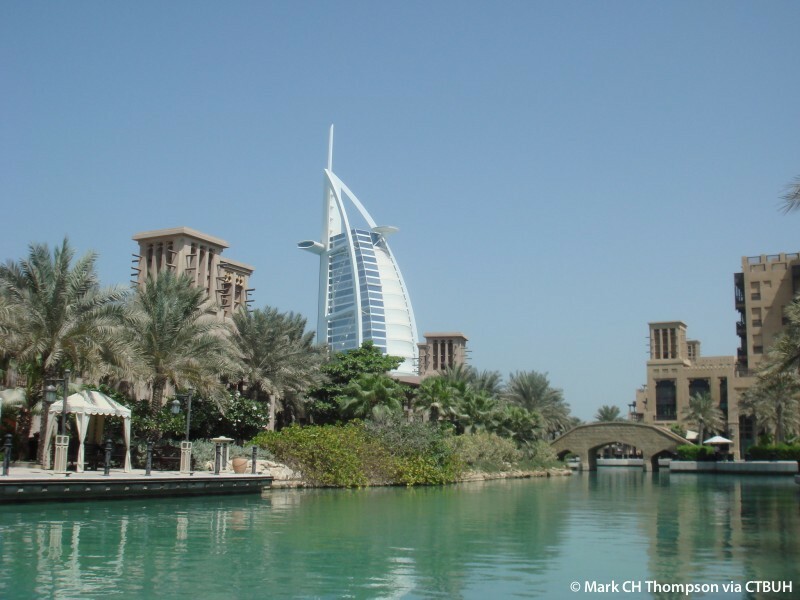 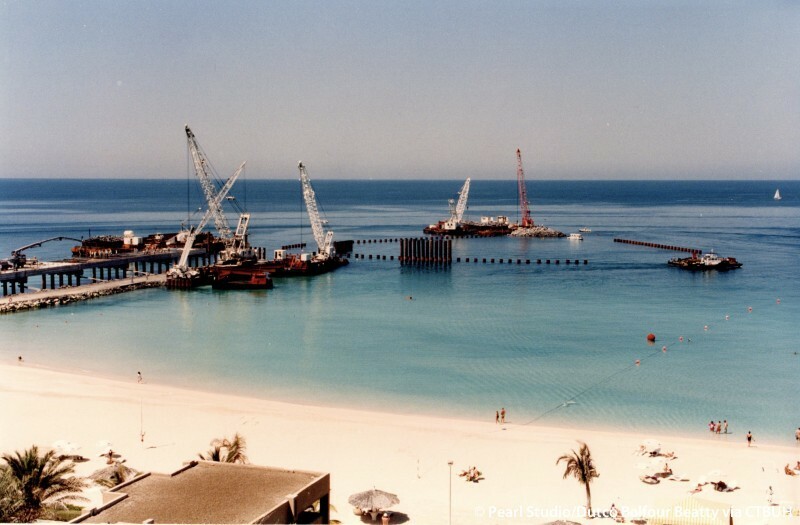 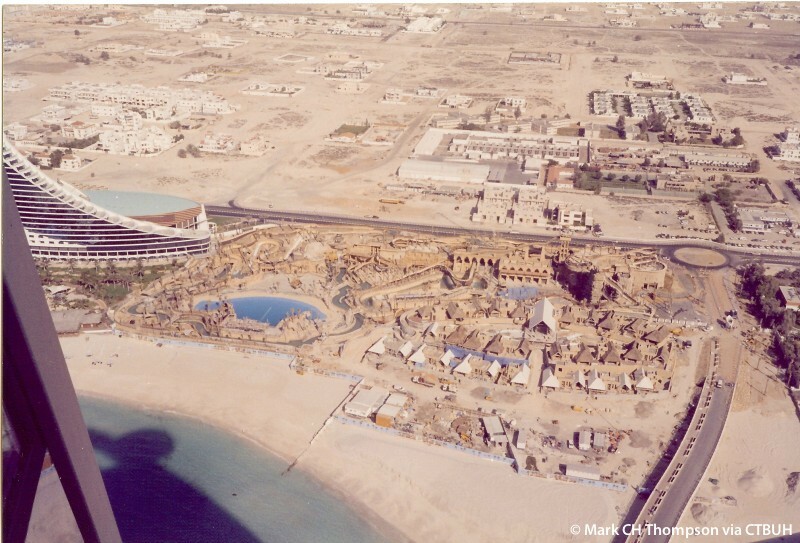 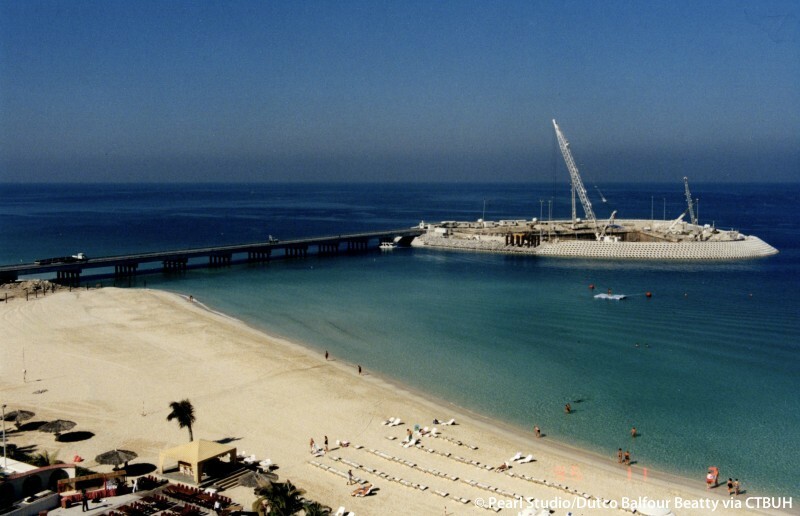 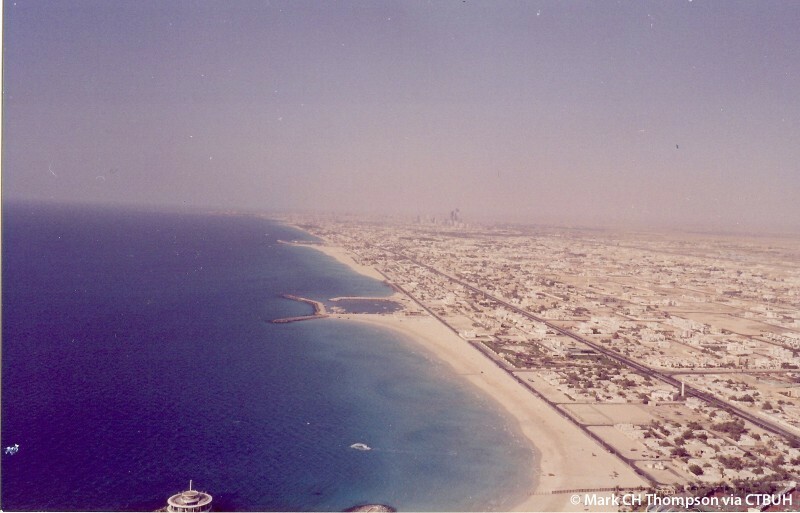 When construction began on the private island upon which Burj Al Arab would be built, Dubai was a very different place. 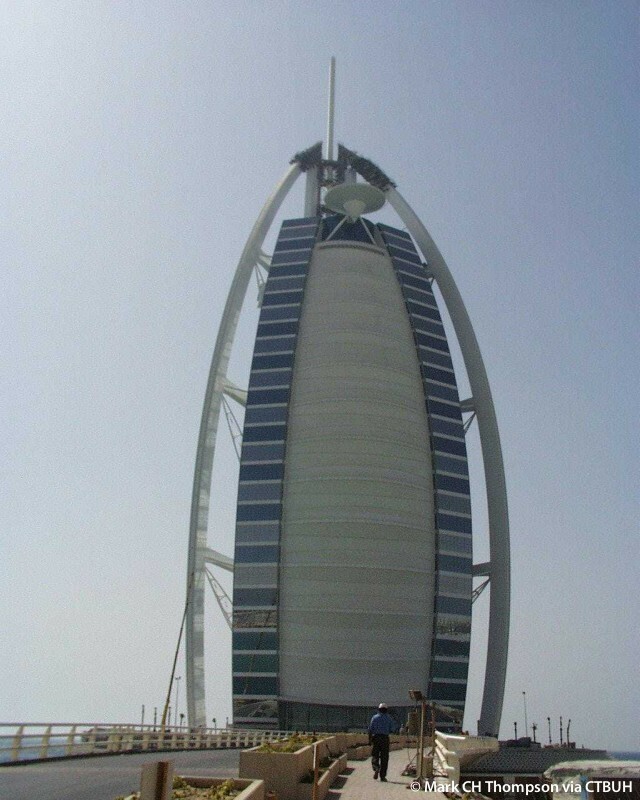 In the late 1990’s, the rapid pace of construction which developed one of the world’s most impressive skylines was just in its very early stages, and as such, the Burj Al Arab is regarded as one of the first key landmarks of modern Dubai. 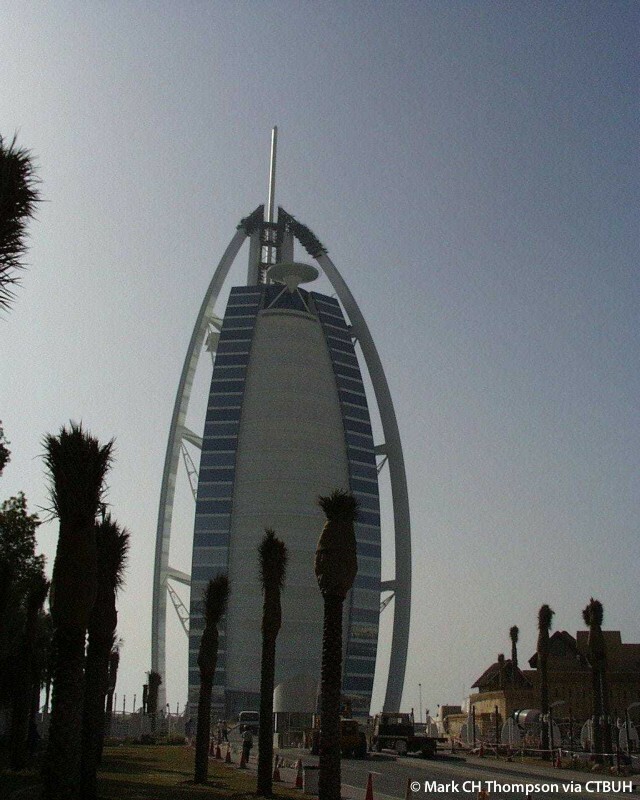 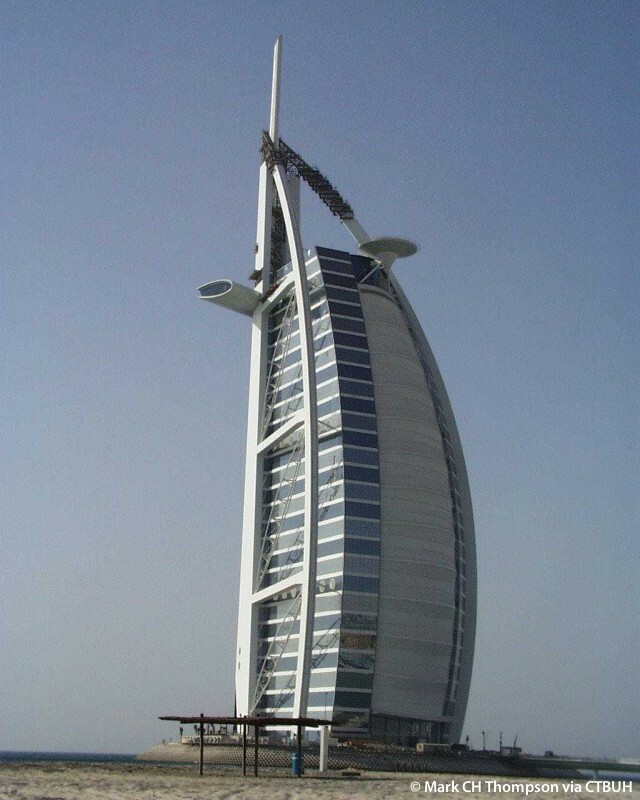 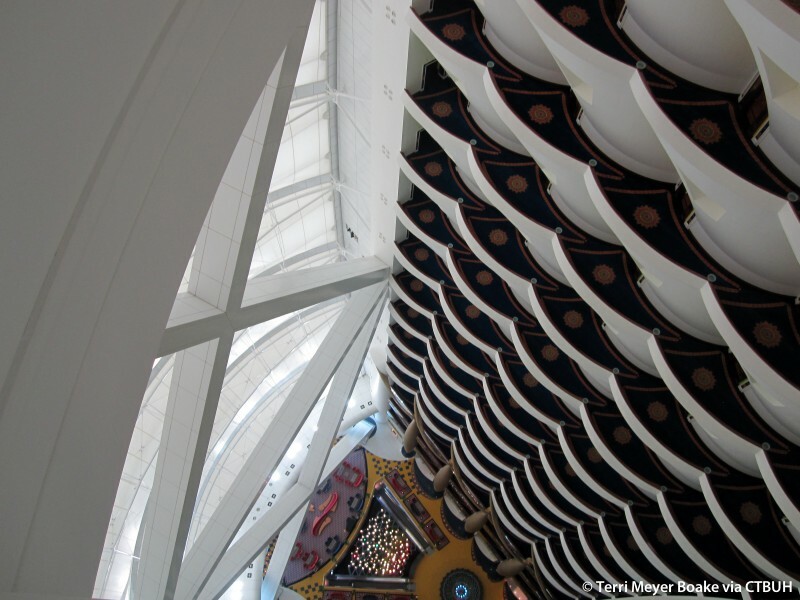 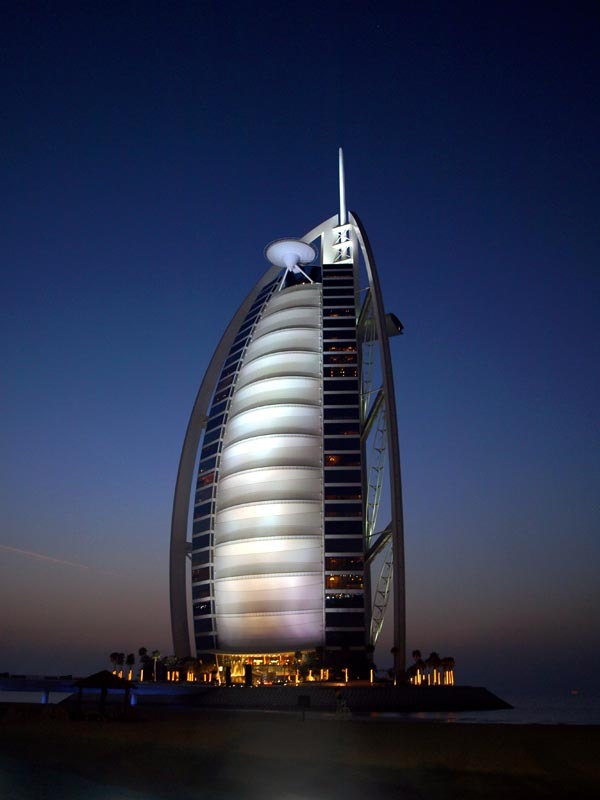 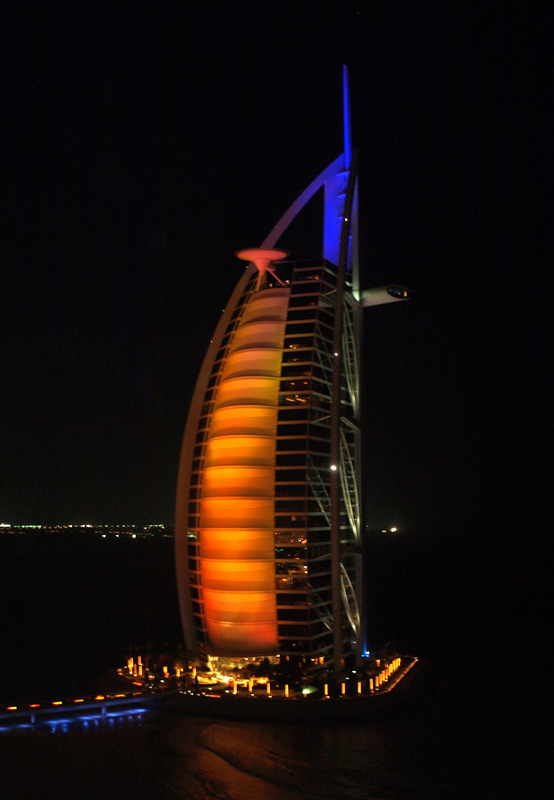 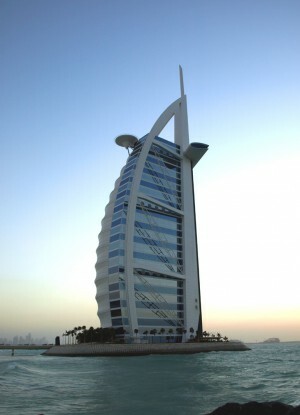 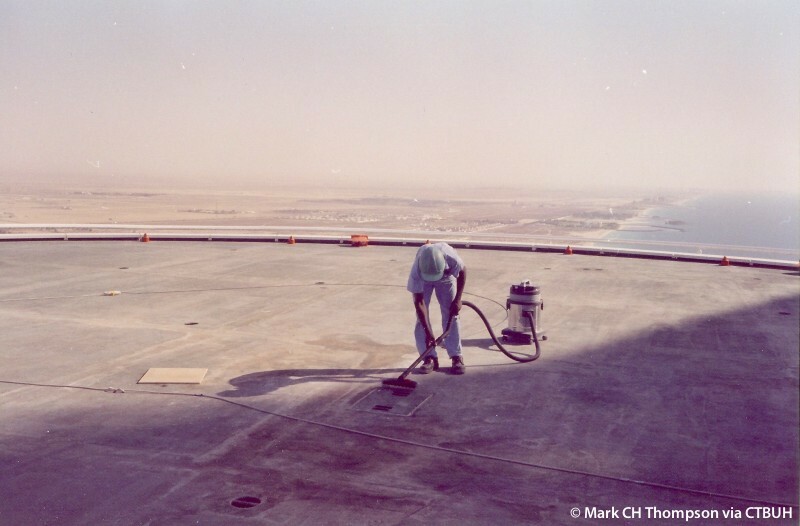 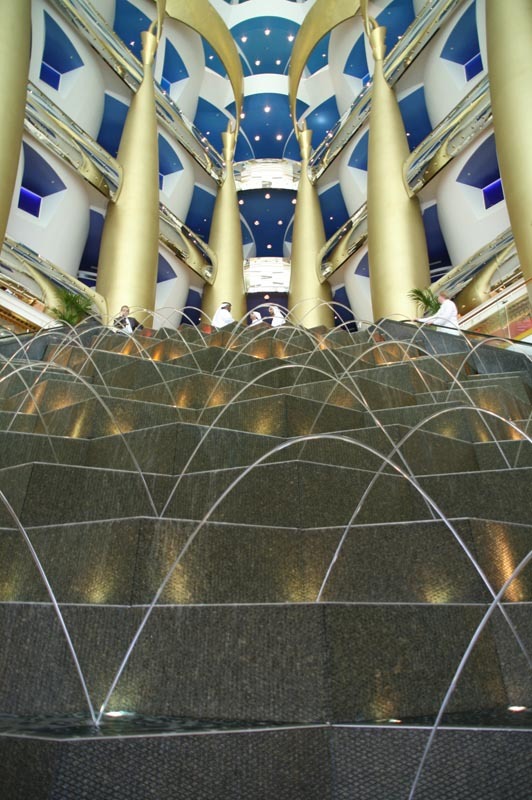 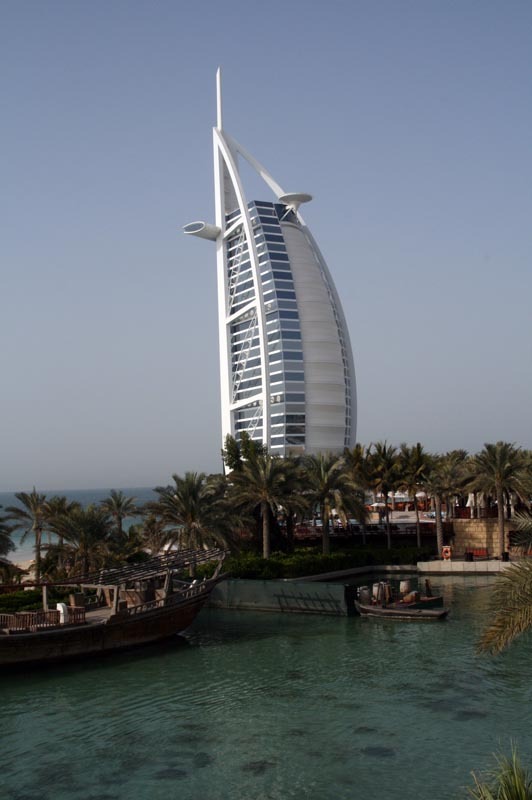 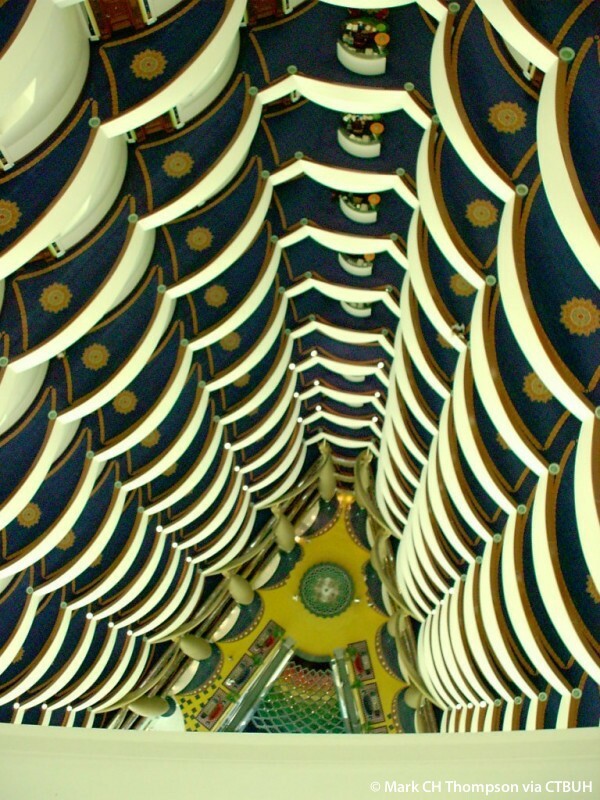 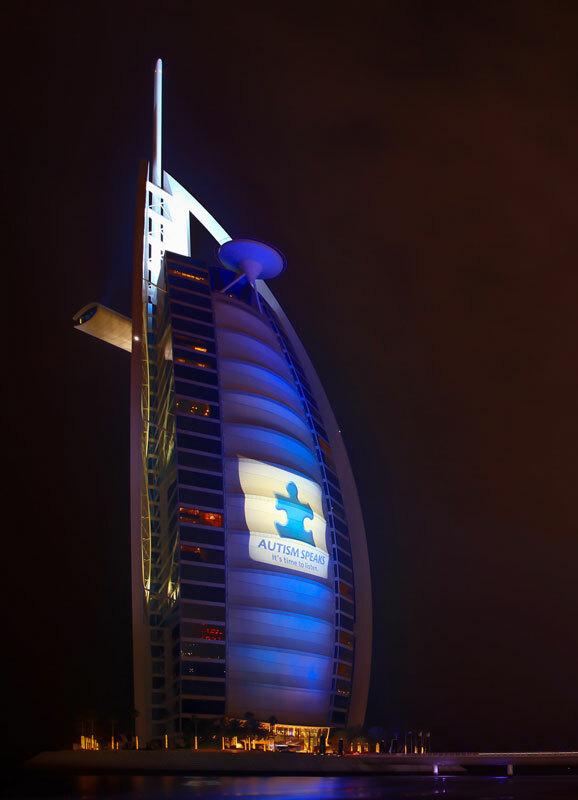 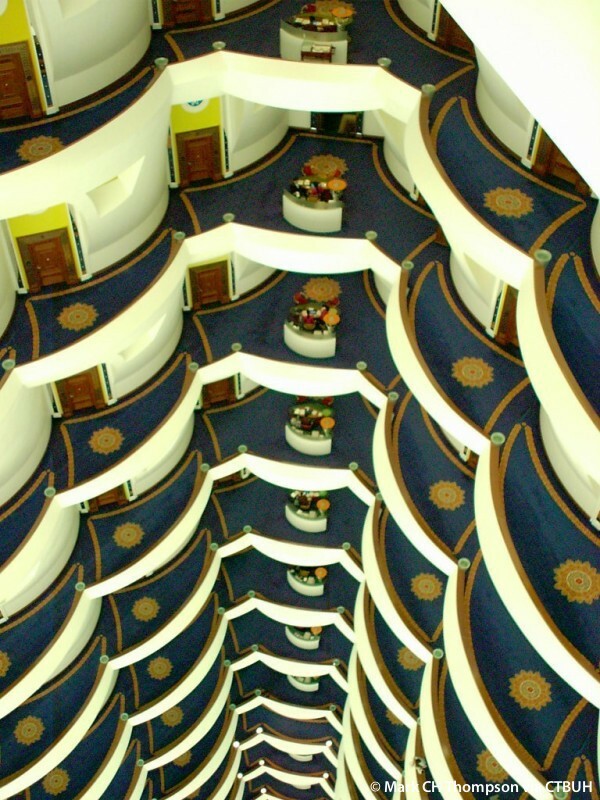 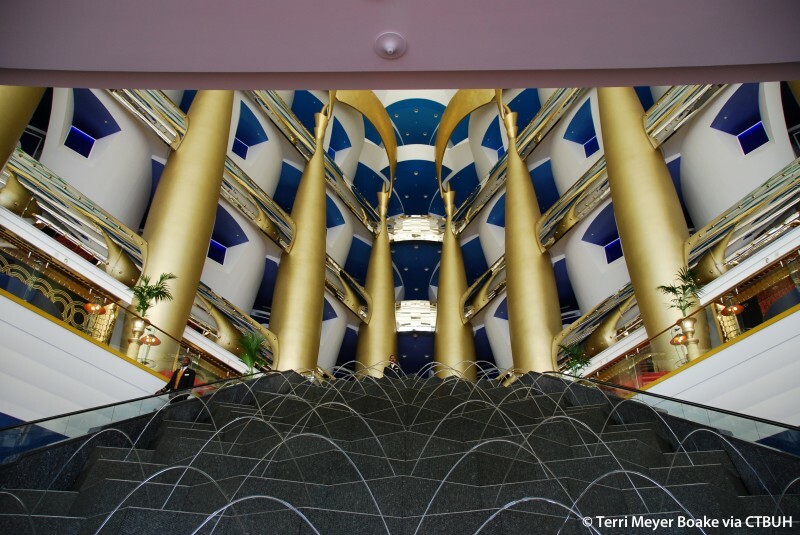 When opened in 1999, Burj Al Arab was advertised as the world’s first and only 7 star hotel, offering a luxury experience that was truly unique. 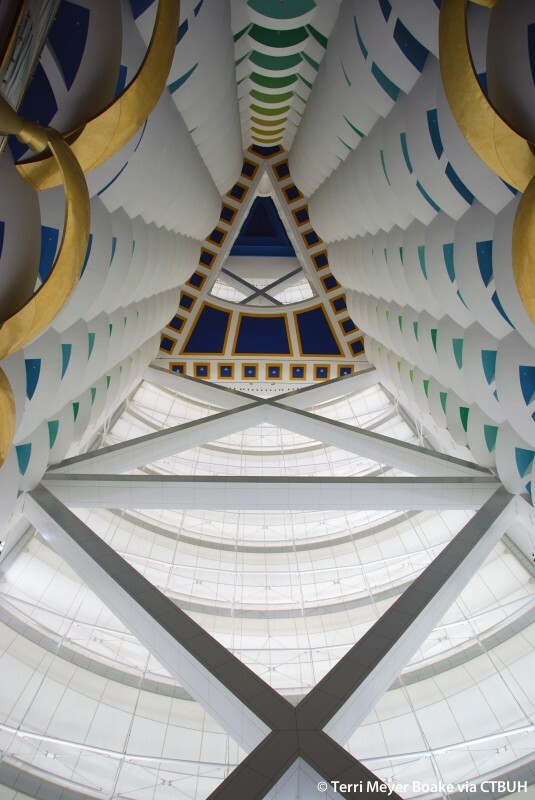 Inspired by the shape of a sail boat about to head into the Persian Gulf, the triangular shaped building’s design began with intent to create a recognizable landmark for the emerging city. 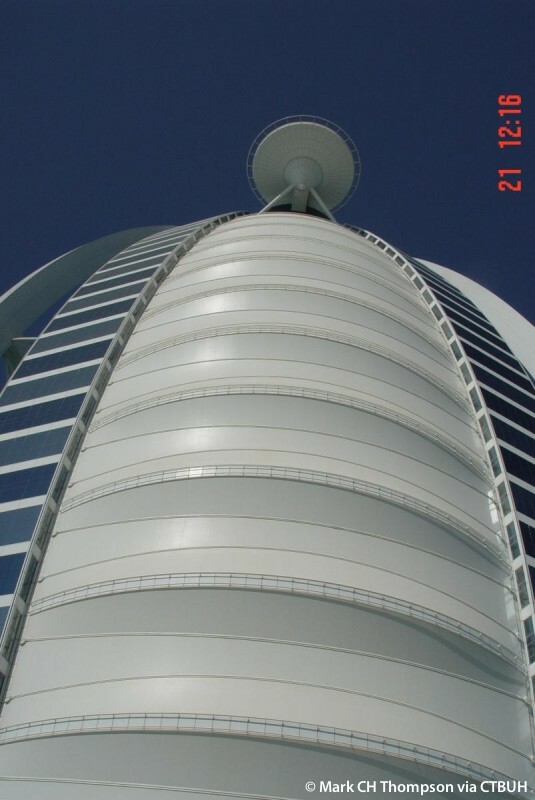 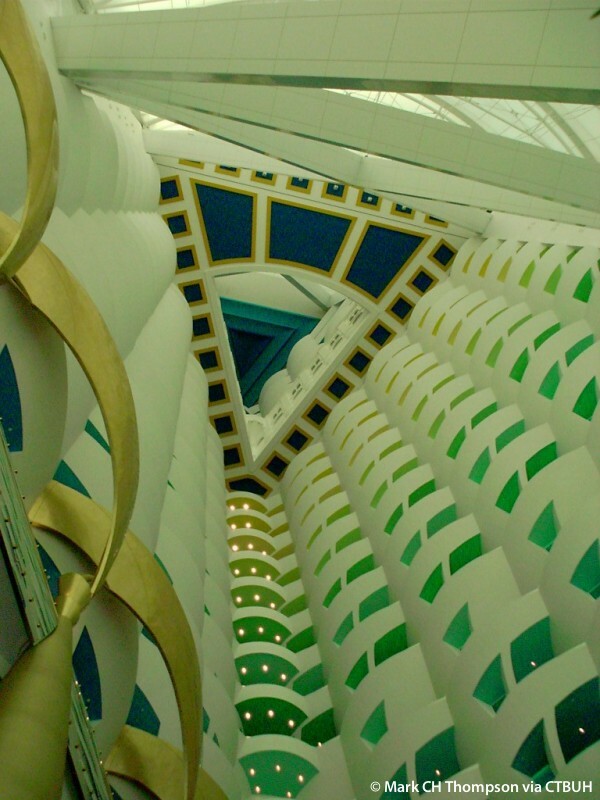 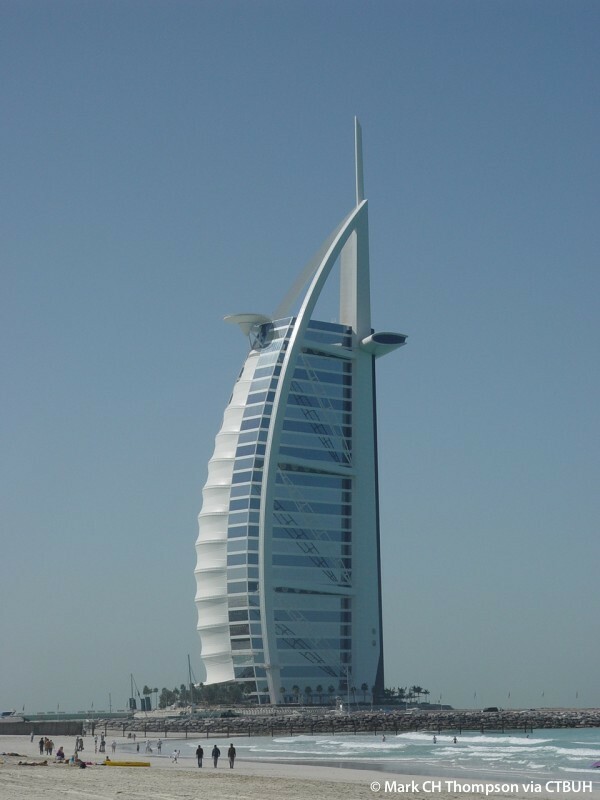 Upon completion, Burj Al Arab was the world’s tallest hotel and included the world’s tallest atrium which rises 182 meters through the interior of the building. 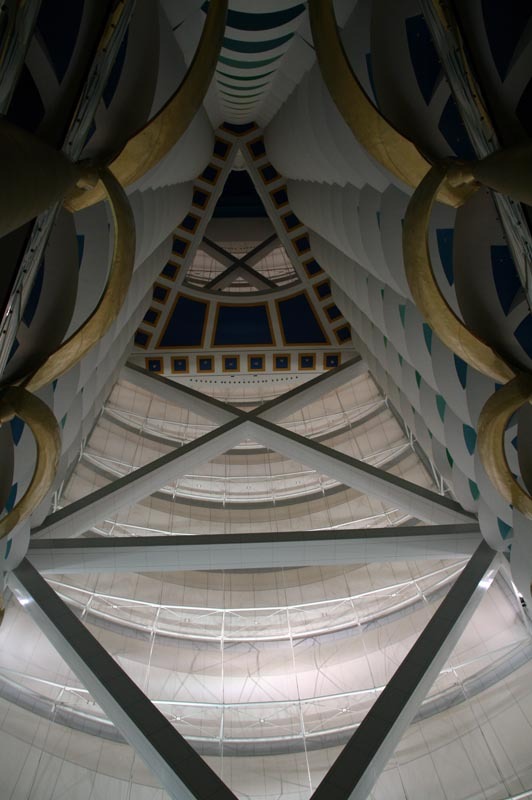 The atrium is aligned to the building’s southern exposure and is separated from the outside by a glass fiber screen attached to the building through a network of steel cables. 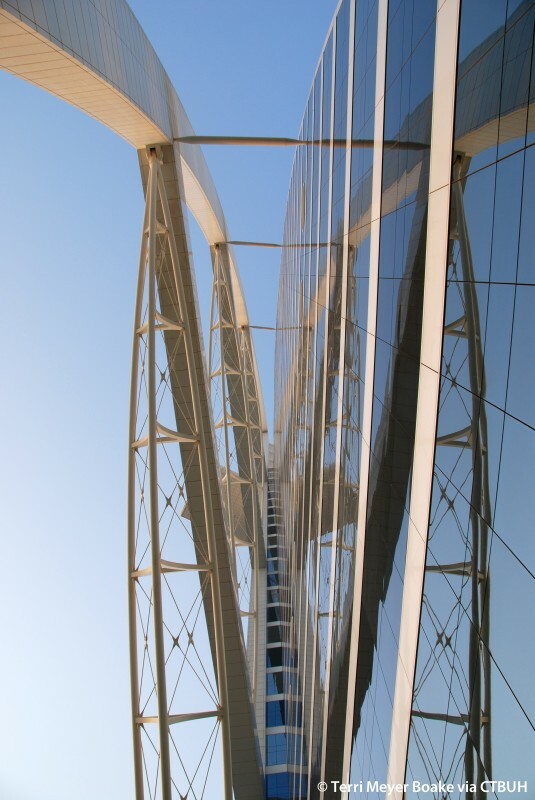 The screen reduces solar heat gain through the elimination of windows while still allowing for diffused light to enter the atrium space. 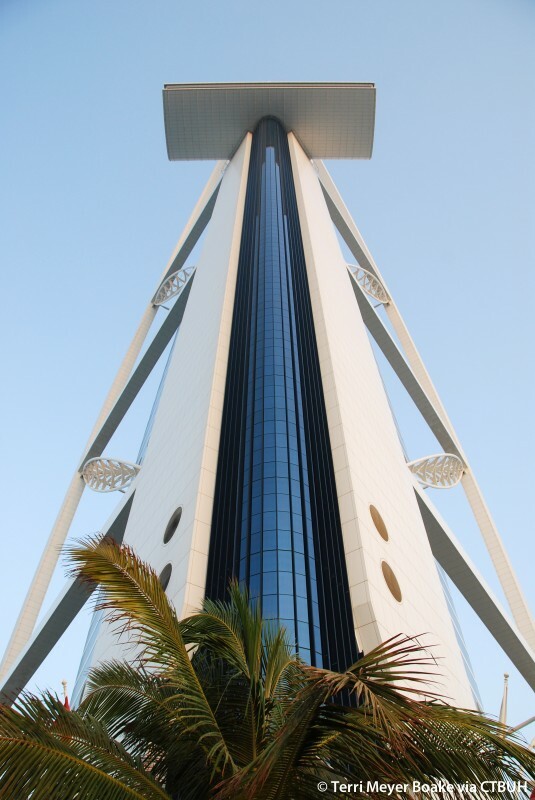 The screen is designed to flex with the wind loads of the building’s coastal location and is coated with Teflon, a non-stick coating often used in kitchenware which prevents dust and dirt from adhering to the screen in the desert environment where wind-blown sand is common. 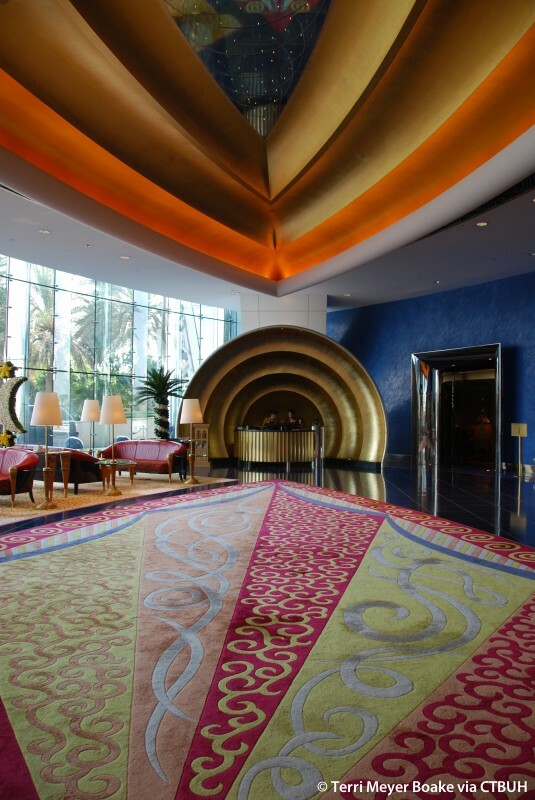 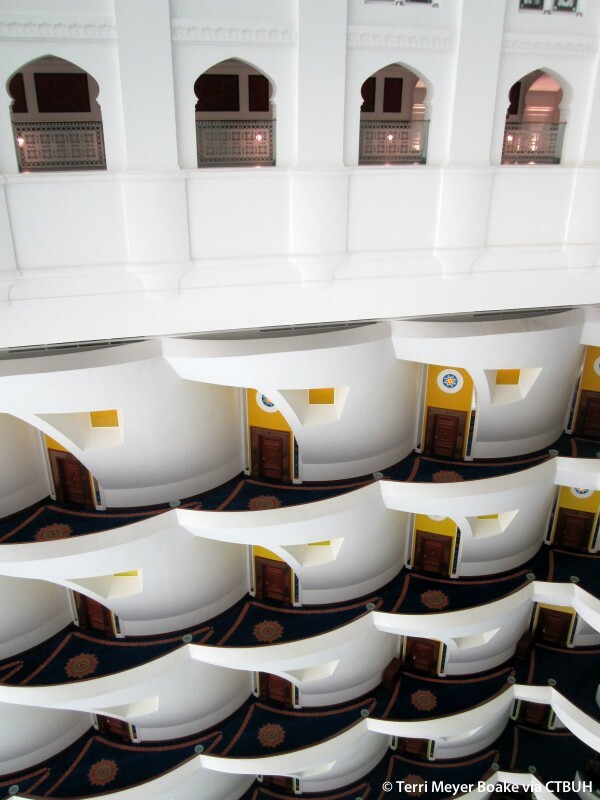 The guest rooms are aligned in a wedge formation flanking the atrium and facing out into the gulf, while 9 restaurants and lounges are spread throughout the structure, including on the uppermost floor. 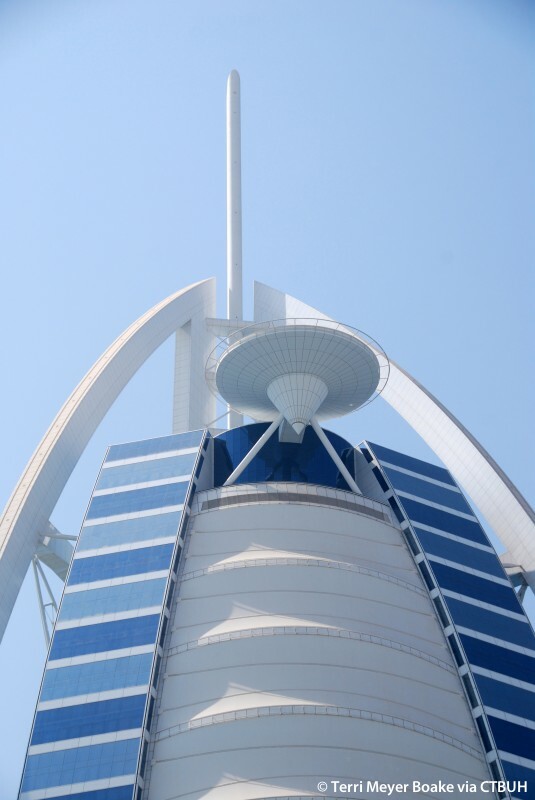 The main roofline includes a helipad which can guests may use to travel to and from the building. 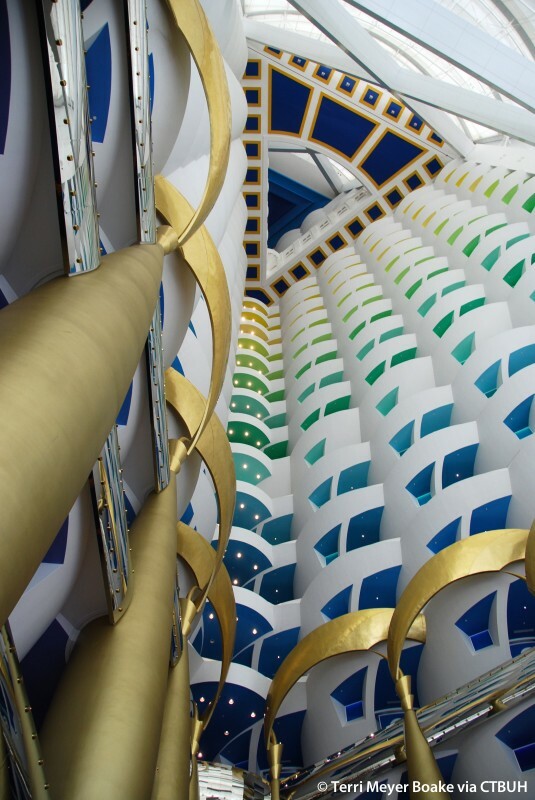 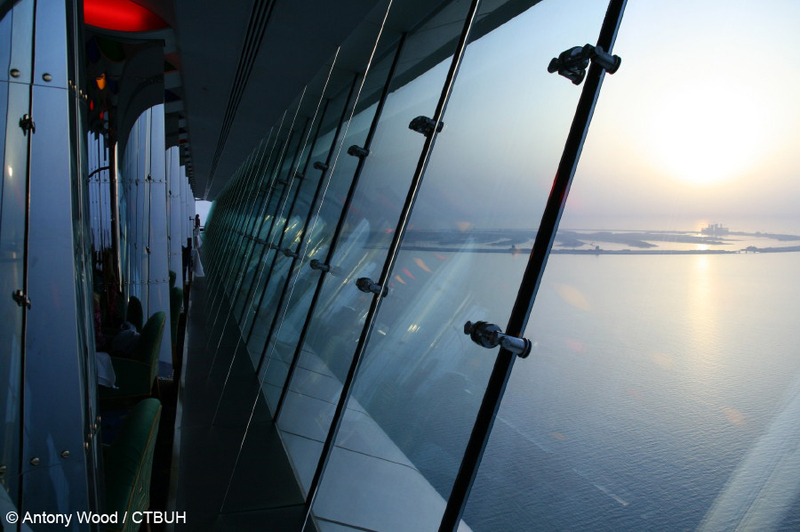 The occupiable space of Burj Al Arab is set within an external structural system built within a composite frame and includes six large diagonal steel trusses, each one as long as a football field. 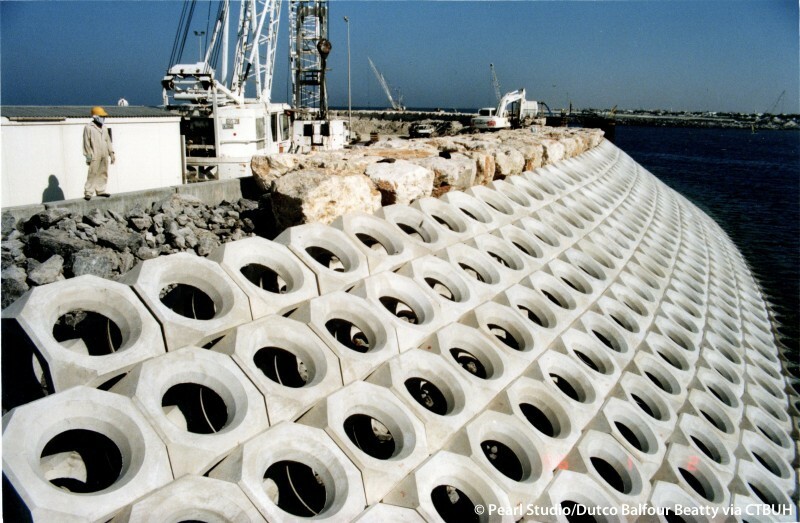 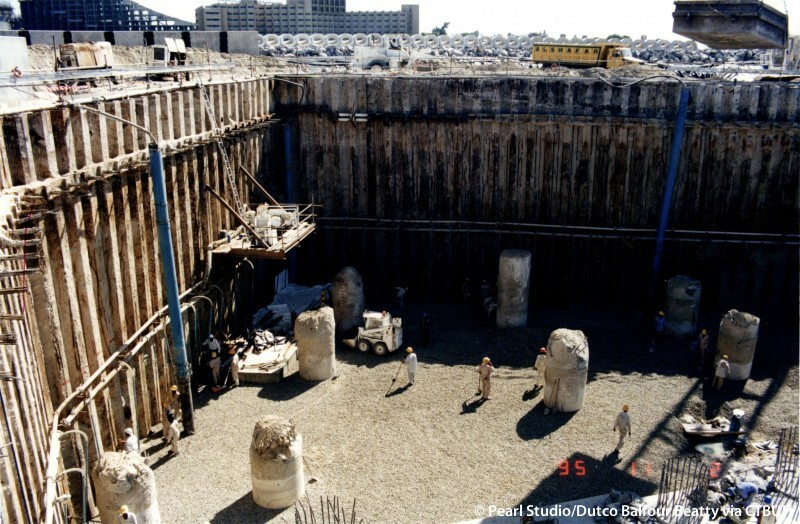 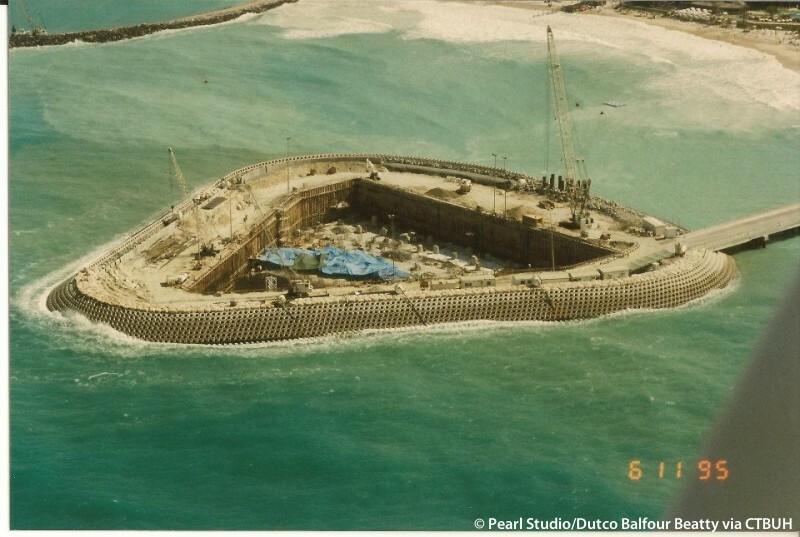 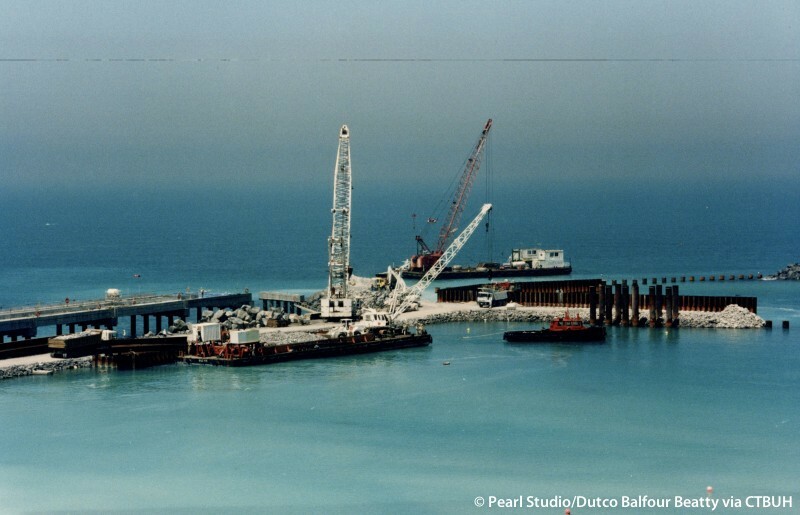 Because of the location positioned into the gulf, the foundation is only made up of friction piles extending 45 meters into the sand below the island, in contrast to bedrock which often anchors supertall buildings. 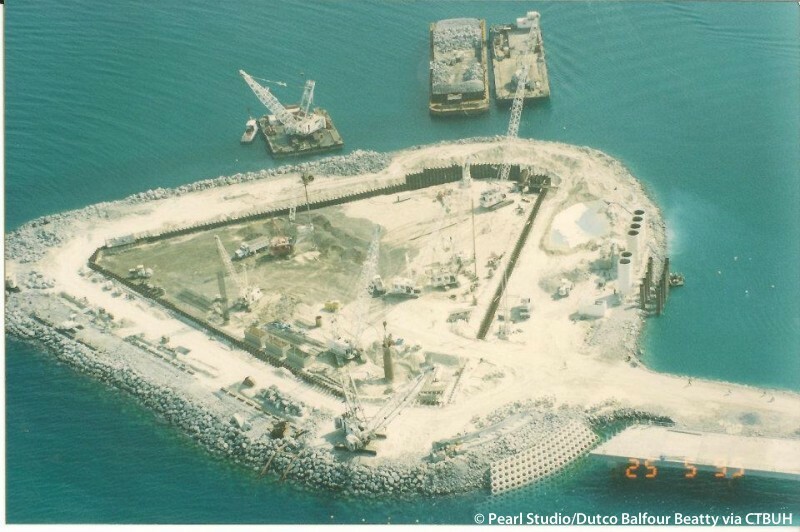 In early 2016, the private island was expanded 10,000 square meters in size through the use of a steel deck attached to piles driven into the seabed. 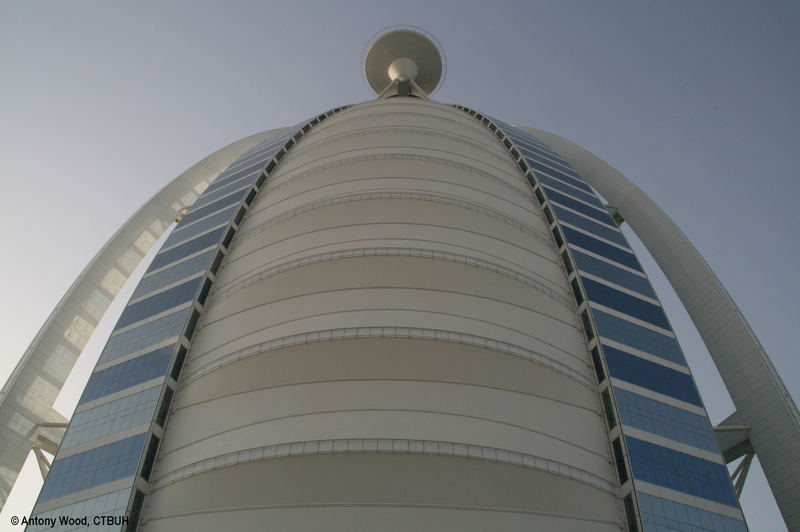 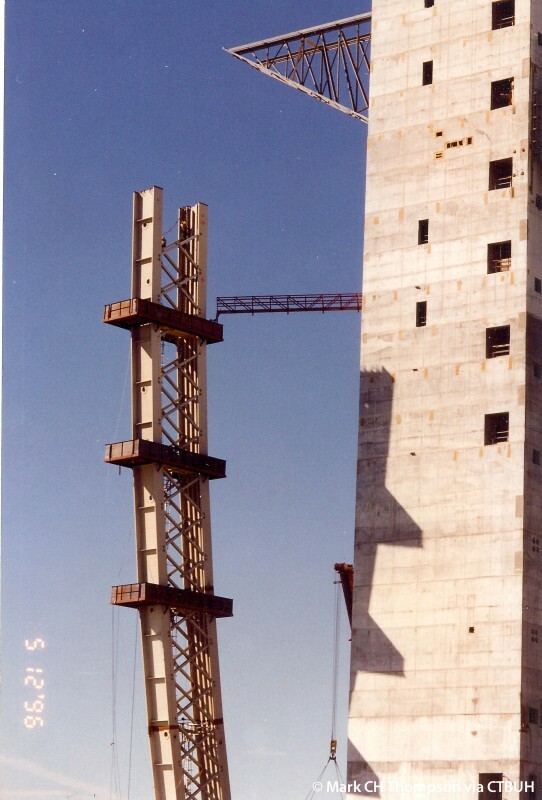 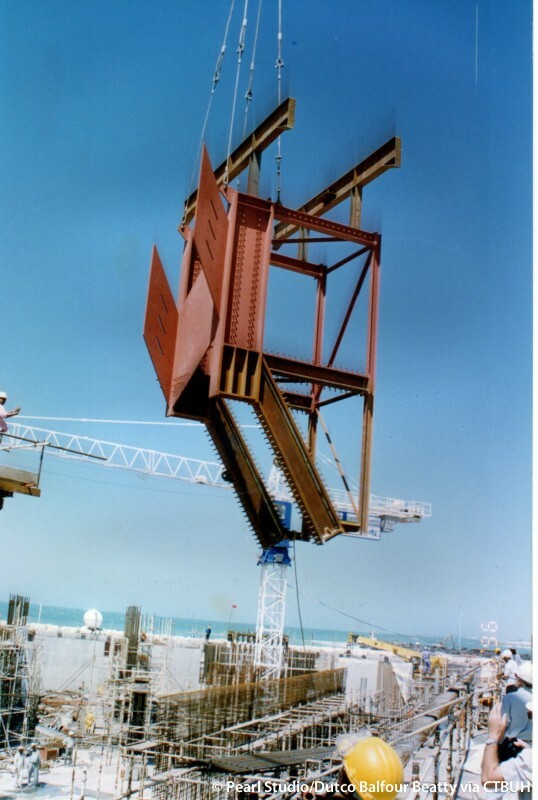 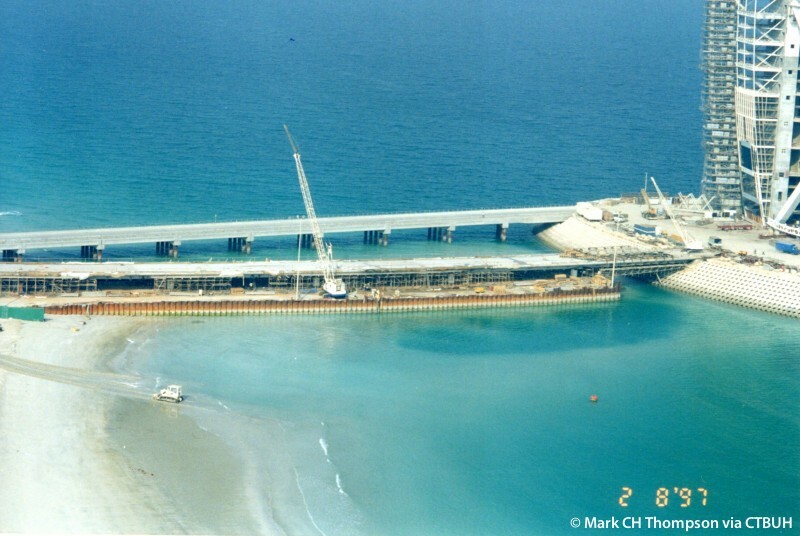 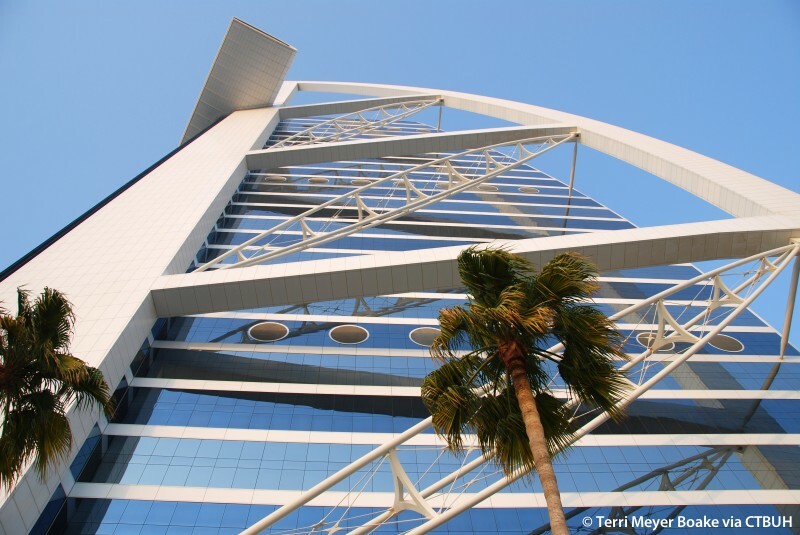 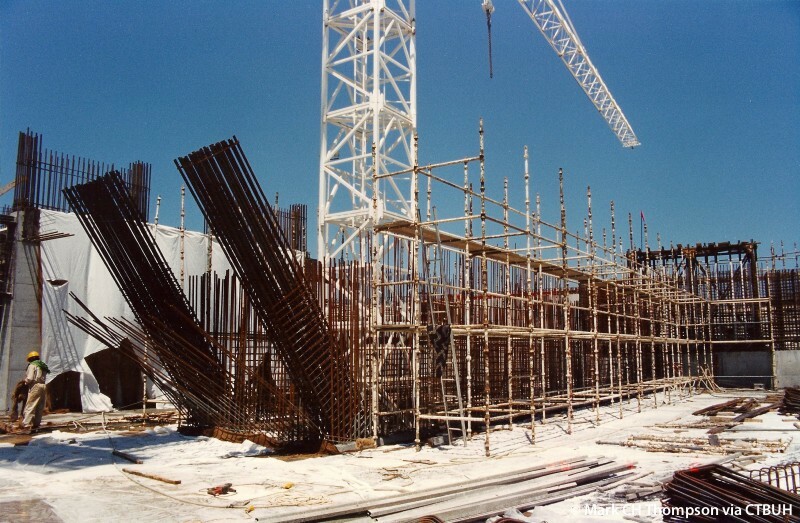 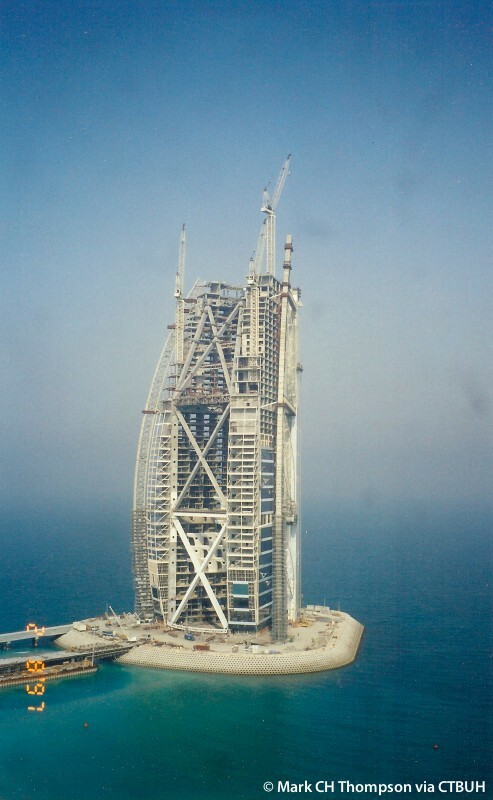 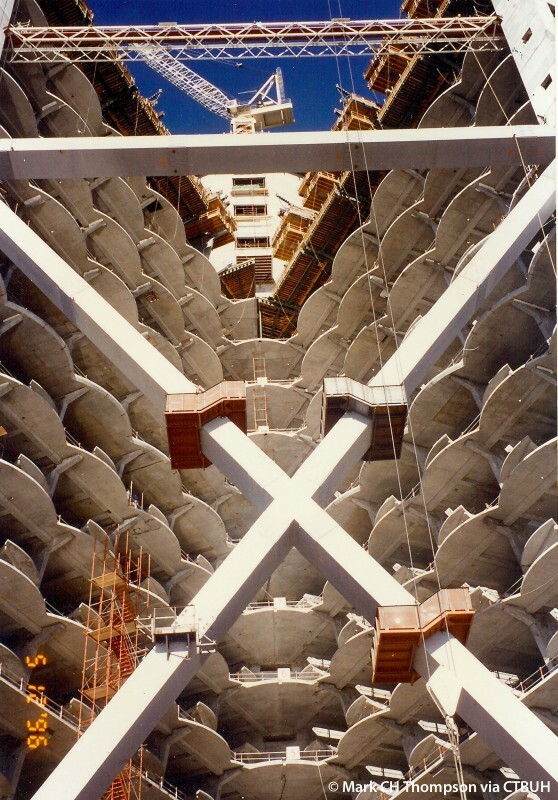 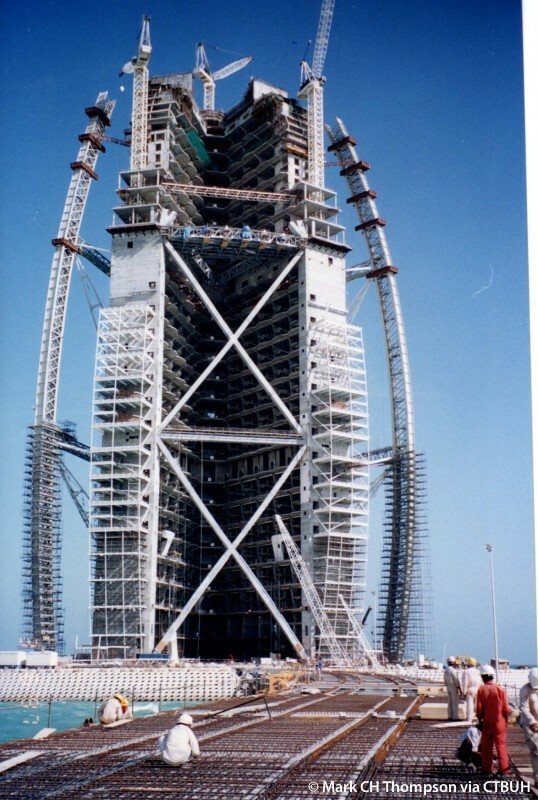 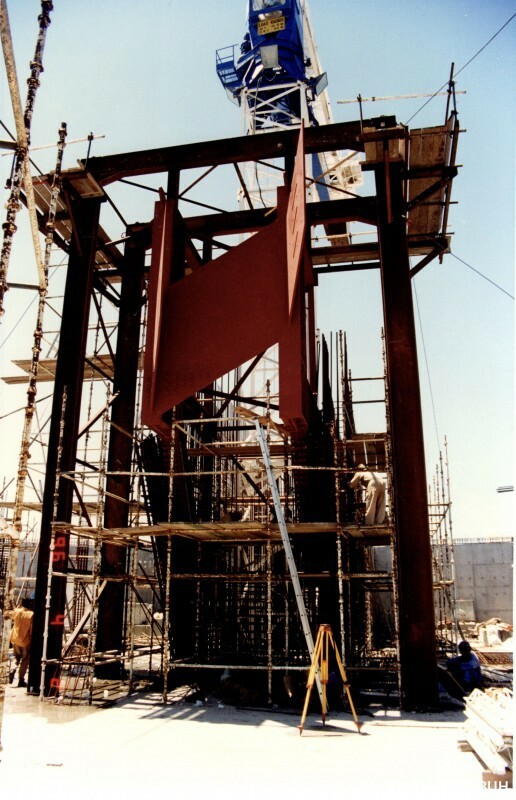 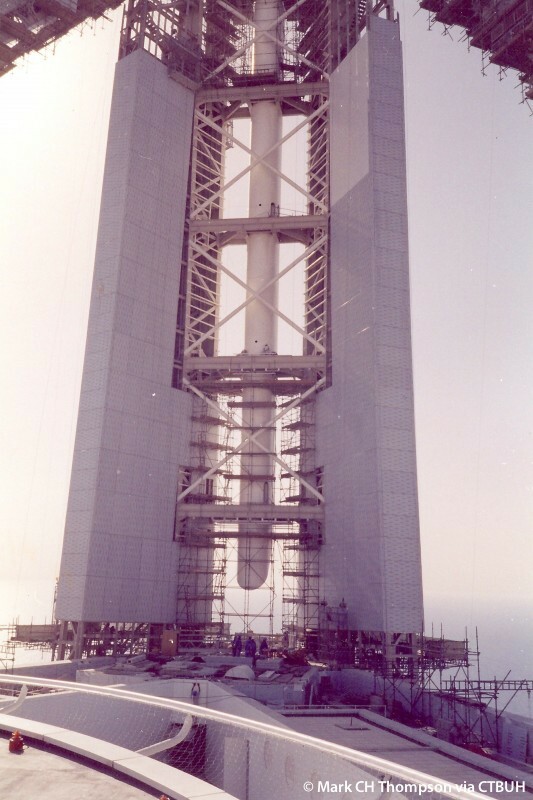 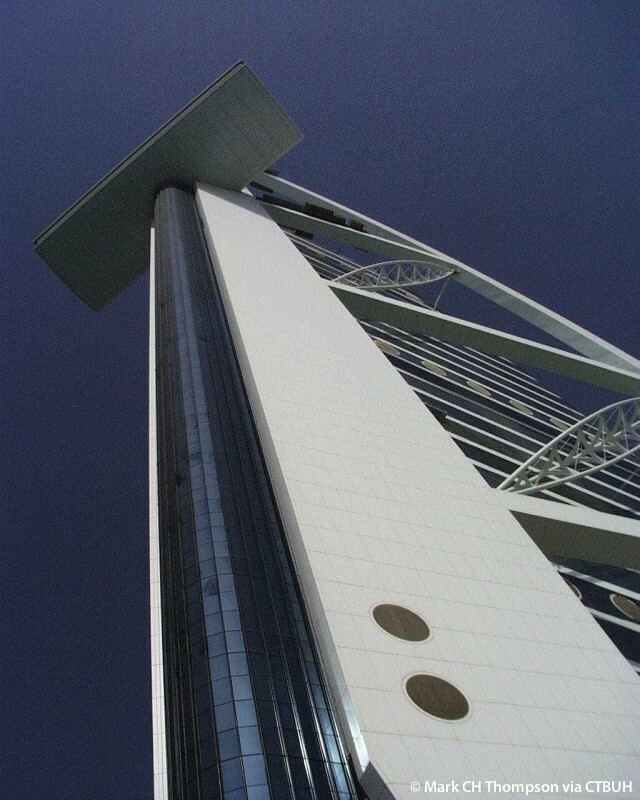 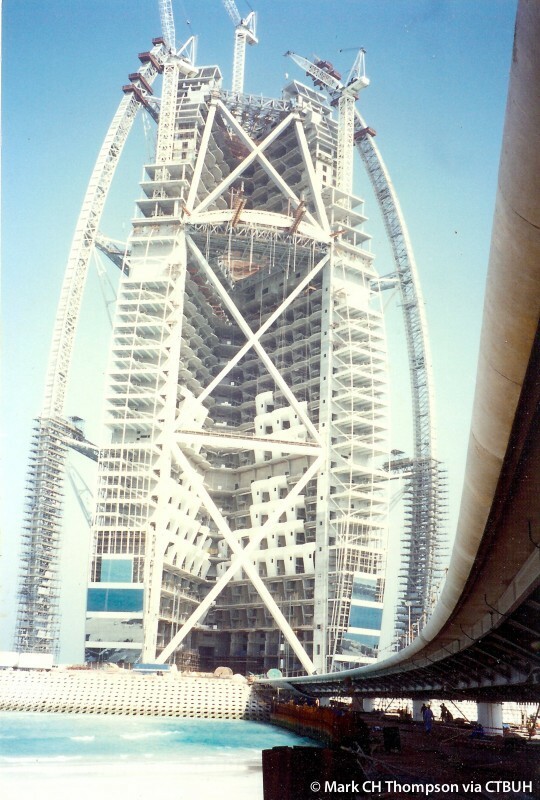 The northward extension was built in modular form using six individual pieces constructed in Finland and sent by ship 8,000 nautical miles to the Burj Al Arab. 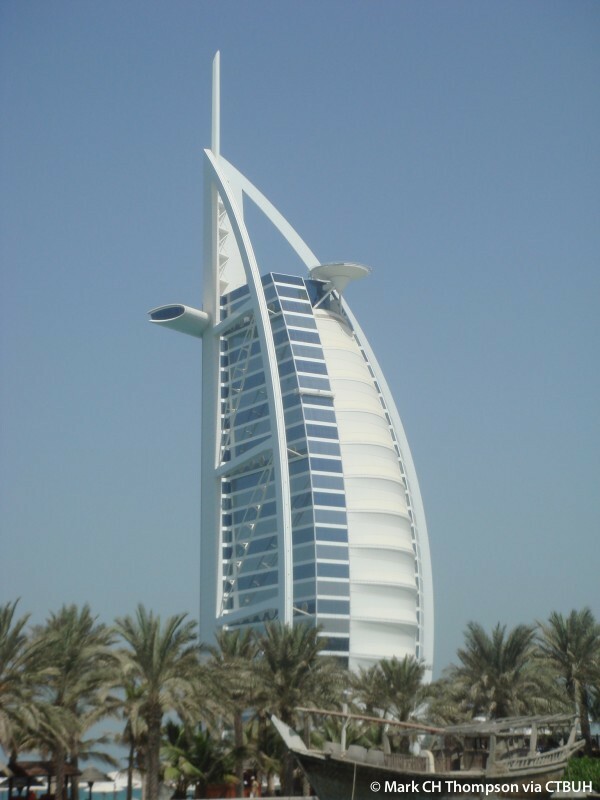 As Dubai has continued to build up around the Burj Al Arab, it has lost its title of world’s tallest hotel multiple times to nearby towers. 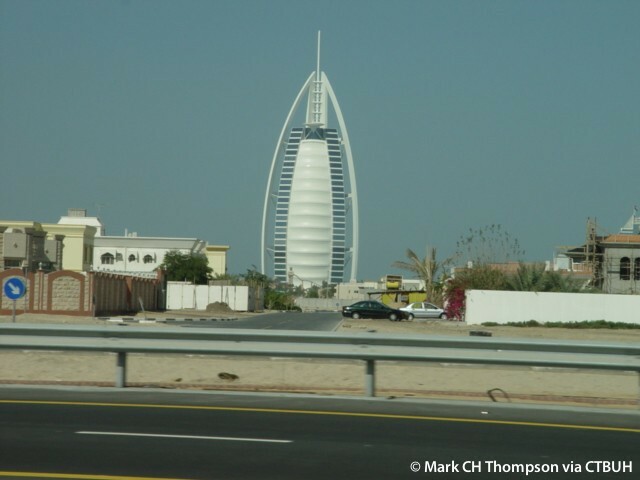 As the skyline continues to expand Burj Al Arab will remain a key landmark that will not only be intrinsically part of Dubai’s world image, but it will also serve a reminder of the transition era when Dubai emerged into the city it is today.